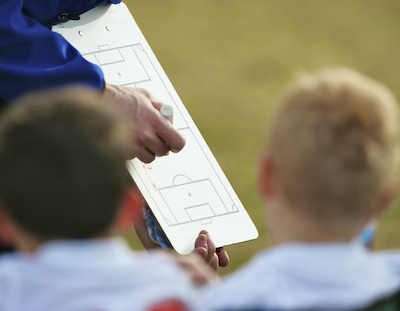 If you’re a coach starting a new season, your schedule is probably packed. You’ve got practices to coordinate, new names to learn and games to prepare for. That’s why we’ve compiled these tips from our hundreds of thousands of coaches to help you stay organized for your upcoming season. Since you’re a TeamSnap user, you already do this pretty well. But there’s probably way more that you could be doing with the app. For example, a lot of teams use TeamSnap Live! to organize their carpools. Just download the mobile app for iOS or Android (links to be added), tap the TeamSnap Live! menu icon, then tap on “Locker Room.” Your team will receive messages instantly, right to their phones—perfect for last-minute carpooling. Click here to try TeamSnap Live! Beginning a new season is scary. That’s why the season shouldn’t begin the day of the first practice—it’s best to start preparing well in advance. When there’s lots to do, try delegating tasks. Pick the ones you can handle yourself, then distribute the rest among your assistant coaches, parents and volunteers (more on them later). Start compiling a list of drills a few weeks in advance for all your practices. To connect new names with new faces, you can even check the TeamSnap app and make mental notes of player pictures in the Roster tab. Get on it ahead of time so you don’t get slammed during the season! Hey, there’s nothing wrong with giving folks a little nudge to volunteer. And if you’ve got all your tasks from tip 2 ready to go, you’ll need those volunteers to help complete them. A great place to nudge for volunteers is the classic team BBQ. This event allows you and your players to get aquatinted with the team, and it also presents you with the perfect opportunity to find those volunteers. As an added bonus, pretty much everybody likes a barbecue. Just don’t forget those vegetarian options. Once you’ve got your volunteers, you can easily delegate tasks with the Refreshments tab. That’s right––it’s not just for drinks and snacks. Delegate your volunteer roles in a snap. All in all, the key to organizing your schedule is staying proactive. Take down your problems before they become problems, and don’t be afraid to rely on technology and volunteers. They’re there to help you! Stephanie Gonzalez is the senior marketing manager for TeamSnap. When she’s not manning the marketing department’s helm, you can find Stephanie playing lawn games or working on her 95-year-old craftsman home in Memphis, Tenn.
Is Your Child’s Coach Playing Favorites? Tough Love or Verbal Abuse?